- Decorative ponds for fish and water plants. - Fresh water aquarium fish. - Salt water aquarium fish. - Water plants for aquariums and ponds. - Filter and water improvement systems. 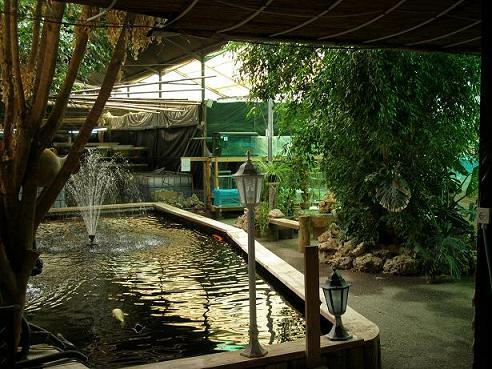 Aqua Gan is the most veteran aquarium manufacturer in Israel, producing aquariums in all dimensions and volumes from 10 to 10,000 liters and more. The company also produces salt water aquariums in varying sizes and price ranges from those designed for small fish to reef aquariums and shark aquariums. In addition we supply all aquarium accessories, from the most simple to state of the art professional for fresh and salt water aquariums. We build special "wet-dry" filter systems for salt water as well as self-made U.V systems for sterilizing water. The company also supplies cooling systems designed for marine non-vertebrae creatures. Aqua Gan has been building and designing decorative ponds for plants and fish in hotels, private homes and public and educational institutions for 28 years. We specialize in adapting ponds to the difficult climatic conditions prevalent in Israel such as extensive heat and radiation. For this purpose we have developed a biological filter that is adapted to the volume of each pond, so that in most cases the water is as clear as drinking water, and only in very difficult cases we add the UV system for sterilizing the algae in the water. As said, we manufacture biological filters for all sizes of ponds. The filter itself is a plastic container with a bacterial foundation. The movement of the water through the foundation by a special method decomposes the bacteria and waste matters in the water. The water obtained through this method of filtration is at the level of drinking water. As a result of the bacterial activity the quantity of microscopic algae (making the water murky and green) is reduced and the water becomes clear. 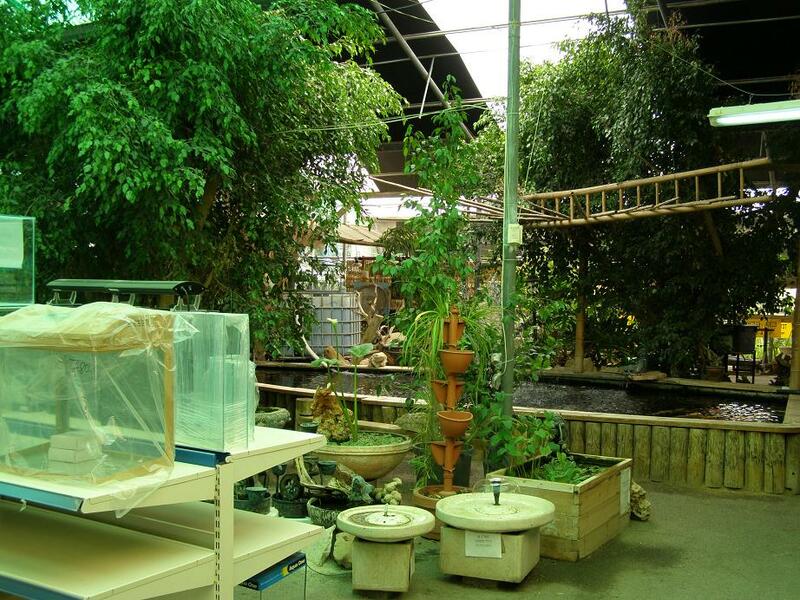 In cases where the pond is exposed to large quantities of radiation, we add a UV filter system to the biological filter, which helps to retain clear water. Development of the filter is the result of our years of experience in the field and is adapted to the harsh conditions of the country (high temperatures and levels of radiation). Another point to emphasize is the ease of use of the filter. The filters we produce hardy require cleaning, and in the rare cases where cleaning is necessary, the filter is constructed in a unique way that does not require dismantling for cleaning, and the cleaning action is simple and easy. Another advantage to the biological filter is that there is no need ever to replace the bacterial foundation. We have a wide range of fresh water fish, from the simplest of goldfish to the expensive discus fish. The tropical fish department boasts some 100 aquariums and the cold water fish department has fish displayed in 60 cubes of water. Most of the fish, around 80% are imported, the rest are bred in Israel, some of them by us. We also carry out personal orders for rare and unique fish that are not regularly available. The salt water aquarium fish are displayed in a system of aquariums with a total capacity of 5000 liters. All types of fish are available, ranging from corals to sharks of all sizes, as well as a variety crustaceans such as anemones, soft corals, crabs, etc. The latest department added to our business is the edible fish department. Our extensive know-how in the maintenance and breeding of fish enabled us to open the edible fish department where the fish are kept in stainless steel tanks installed with windows to allow the easy view of the fish. The customer chooses the fish and receives the order cleaned and cut to specification. All the fish are given regular veterinary examinations and are kept in tanks that have systems for recycling and purifying the water in order to keep the fish in premium health condition. We keep both fresh and salt-water fish: carp, tilapia (St. Peter's fish), red snapper, mullet, trout, bass, Denis, etc. For the customer's convenience we have a comfortable sitting corner with a coffee stand while waiting for the order to be prepared. האם יש לכם שאלות בנושא aquagarden israel?